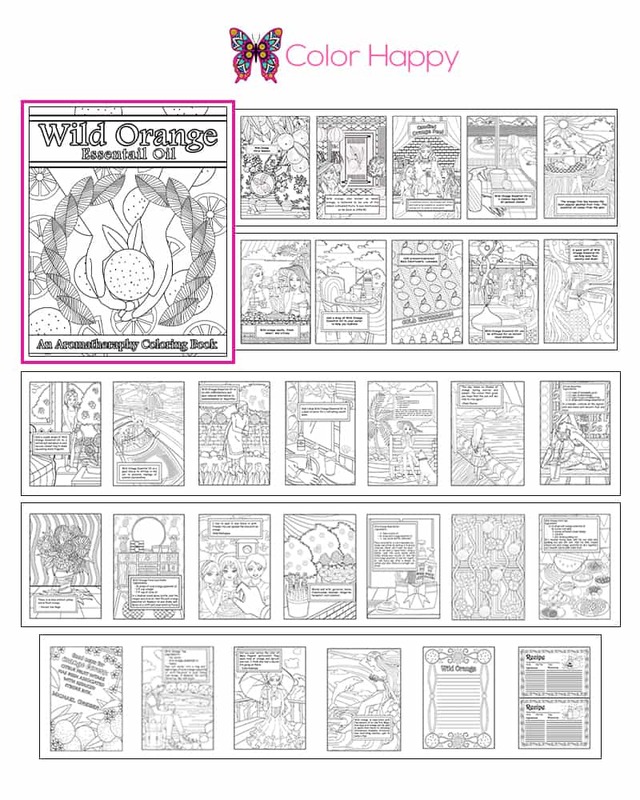 Category Archives for "Adult Coloring Hobby"
Color Happy coloring pages distributed through our FREE giveaways, paid memberships or individual packages are copyrighted and may not be redistributed or shared in any way. This includes the original PDF and all uncolored images. If you’d like your friends to enjoy them as much as you do, please send them to sign up here! Under no circumstances may you sell pages you download or print to others. Sales of Color Happy products must be made through the ColorHappy.com website. We offer an affiliate program so that you may earn commission on personal sales. Yes, please! Once you have completed coloring any of our designs, free or paid, we encourage you to proudly share images of your work online, whether on your website or via social media. When you do, add the hashtag #colorhappy if you’d like us to see and share! 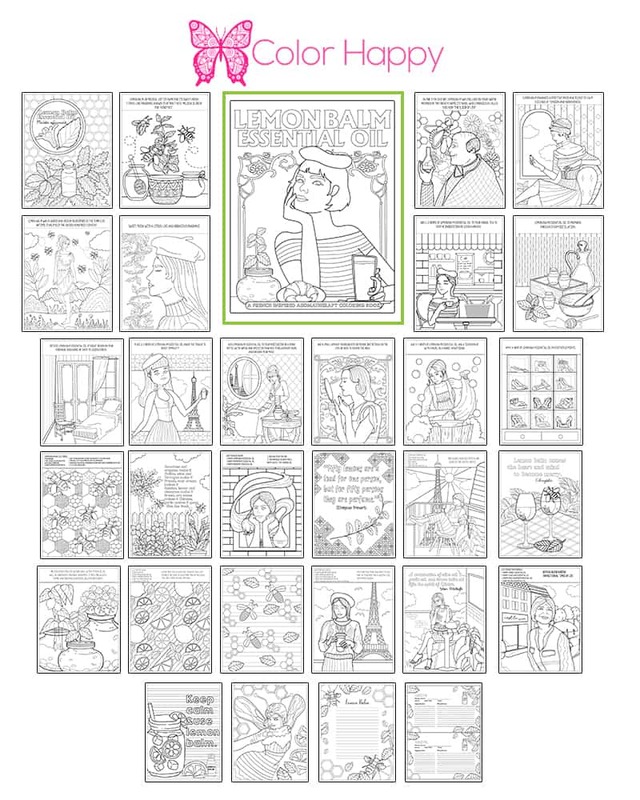 And don’t forget to enter your shared pages in our monthly coloring contest. About Selling Your Finished Colored Work: If you’d like to use one of our designs on a product that you will sell, after you have colored it, please submit a request here. In most cases the answer can be yes. Some of our designs are offered in partnership with designers who would not like to have their art offered in other formats. In certain circumstances, an Extended License may be possible to distribute Color Happy pages. This would be in a situation where a business, school, or group home would like to use Color Happy pages publically. 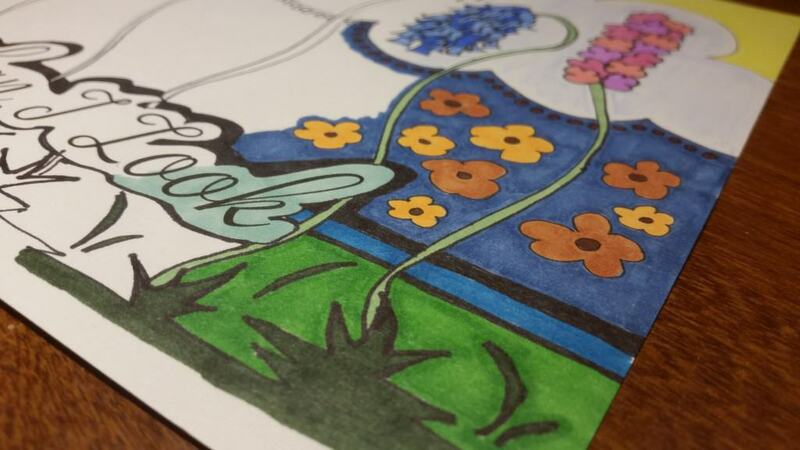 In short, if you are coloring at home, even in a group setting, no extended licence is needed. If you are NOT in your home, one may be required. For example, a restaurant that wishes to provide coloring materials for its patrons, or a retirement home that wishes to do weekly coloring get-togethers. It is perfectly acceptable to add on a $20/m Extended License in these situations. Only ONE Extended License is needed, monthly, for ALL subscription or non-subscription products in the member’s Color Happy account. So, for example, if a member at an ice-cream shop has the Sunshine Package and also the Unicorn Food package, and wishes to share all of them, only one Extended License is required. If commercial use takes place during the month, the Extended License is required for that month. 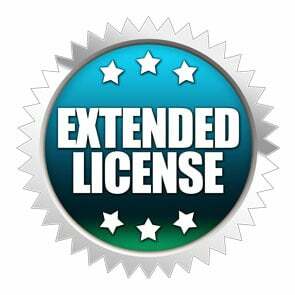 Extended Licenses are a subscription product and can be canceled anytime. *Please note: the extended license allows for free distribution of pages in a business or school setting. It does NOT allow licensees to sell printed pages. Pages may only be sold on the ColorHappy.com website. Extended License Subsription. Automatically rebilled. Cancel anytime. Do you enjoy our crafting pages? Then you will LOVE our monthly Sunshine Package! Get a package of coloring pages each month delivered straight to your computer. Just print at home and enjoy. PLUS – subscribers get a discount on all of our regular coloring packages. Get the subscrition rate on all individual packages purchased! 30+ pages monthly, plus cover page. Subscription. Automatically renews. Cancel anytime. Digital. You print on your home computer. Happiness can come in many forms. Good company, good humor, and good health are some of the best ones. And at Color Happy, we respect the many benefits of Essential Oils and modern Aromatherapy. Each month, you will receive a completely different coloring package of 30+ pages, focusing on one essential oil. With history, lore, common uses, recipes, and quotes, this package is sure to be a go-to pastime for all essential oil and coloring enthusiasts. 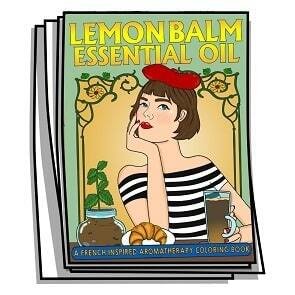 Explore lemon balm essential oil through color. Each of these 20 pages is dedicated to learning more about aromatherapy, specifically lemon balm essential oil, and it’s history, science, chemistry, common uses, and even recipes, all while providing fun and detailed coloring elements, and a fun, France-inspired setting. Mild potty humor and cartoon violence. Parents please check before allowing your children to color. 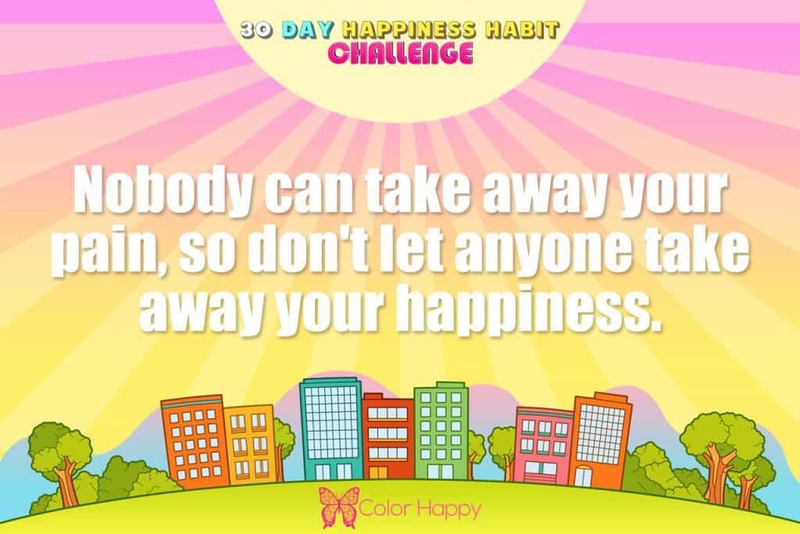 Our goal at Color Happy is to inspire happiness in others. We do that through color…and a little humor! And our monthly Joy subscription is all about fun and joy. 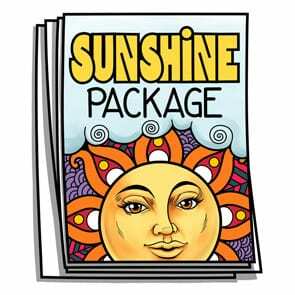 Each month, you will receive a completely different coloring package of 30+ pages, designed to make you smile. 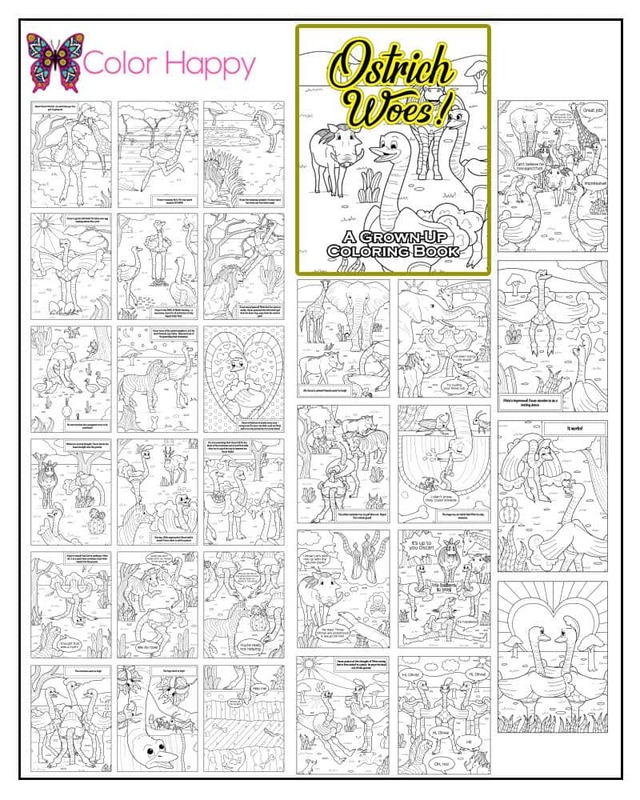 Quirky, silly, and often rated PG-13, this package is sure to delight every coloring enthusiast. Oscar Ostrich is in Love! Oscar’s a pretty amazing ostrich. He can outrun lions and has lots of animal friends. But his big secret – he’s in love, and too shy to act! He’s so shy, in fact, that he puts himself into a terribly sticky situation and needs his friends to help him out! 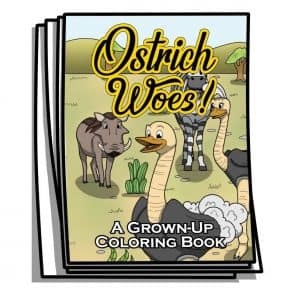 Color along to Oscars antics as he goes where no ostrich has (actually) gone before! One time purchase. Not a subscription. Digital. You print on your home printer. Explore wild orange essential oil through color. 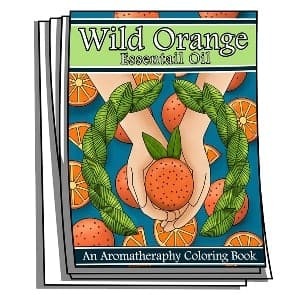 Each of these pages is dedicated to learning more about aromatherapy, specifically wild orange essential oil, and it’s history, science, chemistry, common uses, and even recipes, all while providing fun and detailed coloring elements. Today I have a challenge for you. As you go about your day, running errands, driving to work, etc., I want you to make it a point to make someone else’s day. What dos that mean? It could be something as simple as giving someone a big smile, have a meaningful conversation with a person who’s feeling a little lost or lonely, or it could be buying lunch for the homeless person on the corner. It doesn’t matter what you do, but do something today to make someone else’s day. After you’ve done it, think about how that makes you feel. It’s a pretty good feeling isn’t it? It seems that a big key to our own happiness lies in making people around us happy, and helping out. When you start to think about it, it makes sense, doesn’t it? We are social creatures who have to work together to truly thrive. It is only logical then that helping those around us has an internal rewards system built in. In other words, our happiness goes up as we improve the lives of those around us. A great strategy then to increase our own happiness is to cheer up those around us. Not only will it help make you feel better and happier, you also have to increase your own happiness and put that big smile on your face to be able to make someone else’s day. It’s hard to do this kind of stuff when you’re feeling sad and depressed. But it’s during those times (when you’re feeling ‘off’ – down, depressed, sad, etc.) you need to force yourself to do it the most. By simply doing that, you make your own mind increase the happiness you feel and that gets mingled with a feeling of pride for helping someone else. The key to making this work is to make it a habit. If it becomes well ingrained in your daily routine to make someone’s day as you go about living your life, you’ll automatically start to do it, even when (and especially when) you don’t feel like it. Don’t make the mistake of thinking that you have to do some grand gesture to make someone’s day. It doesn’t have to be something big or complicated. Instead focus on small acts of kindness that you can do every single day. Bless your loved ones with this kindness, or complete strangers who look like they could use a little cheering up. Help someone unload groceries, fix a meal for a neighbor who just had a new baby, or bring your spouse coffee in bed when he or she is having a hard time. All these small acts of kindness will start to make a huge difference not just in you, but also the world around you. Would you be interested in an exciting, unique, and fun way to experience happiness? If so be sure to check out Experience.Happy – our newest coloring adventure, a 5 senses immersive coloring adventure! Each month, we’ll present to you a different topic on something that will make you happy.